Send me great content about Test & Quality! Averna’s an industry leader and we’re sharing testing best practices, tips, and trends with product developers and engineers around the world. Get exclusive content! Be the first to receive our hot-off-the-press eBooks, case studies and white papers. Get full access to our Resource Center! 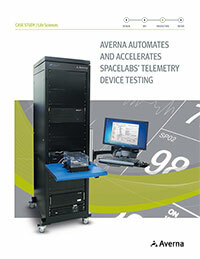 Join the Averna Test & Quality community and download all our great content. Take my word – we’ll only send you Test Guru-approved content. And you can unsubscribe at any time . . . but I would miss you!